Have you ever wondered what your favorite hero or villain look like in real life? Hulk may portray as an Angry Beast, but the fact is, he’s also a human with a temperament issue. Some character prefers to hide their identity in order to save the world while others don’t like Logan, who wears a simple Tank for Peat’s Sake. 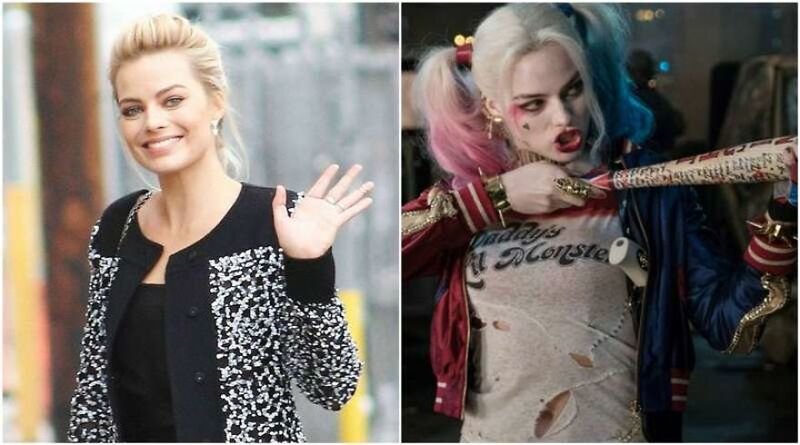 Margot Robbie has done the impossible by playing the bold and crazy Harley Quinn in Suicide Squad. The way she transformed herself is remarkably amazing and let her inspiration channel the world. It is no surprise for Margot Robbie as she has Don so many looks before but this is one of her flawless trademarks. Every fan appreciated the new look which somehow became the 2016 best costume of the year. Like many young women, you too can transform yourself by following this Harley Quinn Costume Guide. 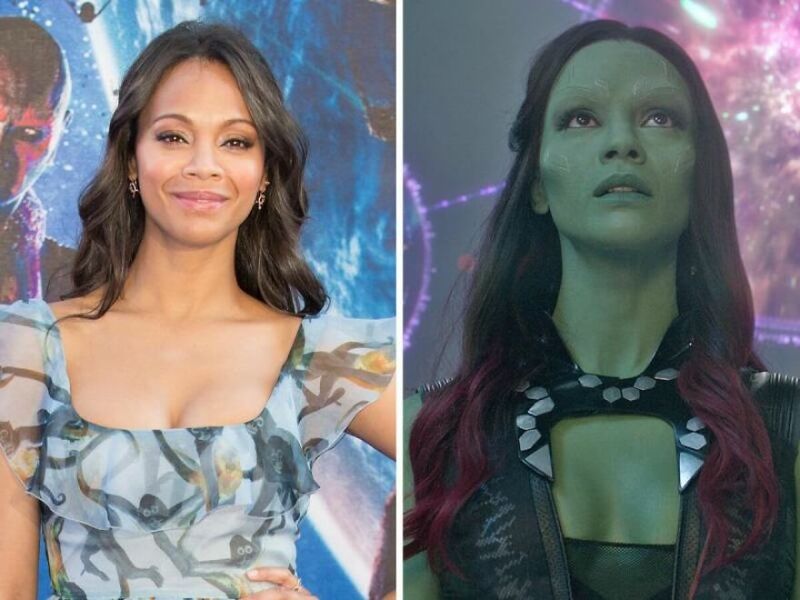 Certain stars are good at what they do, and Zoe Saldana is one of them. The 39 year old actress has played all kinds of characters, but her most famous movie role is Guardian of the Galaxy portraying as Gamora. She created the best translation to the comic version, and with the help of movie effects, she was able to pull it off. Zoe will play again in upcoming Avengers Infinity War as a member of the Guardian. “You go into character and you stay in the character”. (Christian Bale). That’s what happened with Heath Ledger while portraying as the Joker. The late actor took the stage to a whole new level, and fans voted him as the best movie villain of all time. His performance and transformation as the Joker in Dark Knight (2008) were all-time acclaimed that we still love to watch. 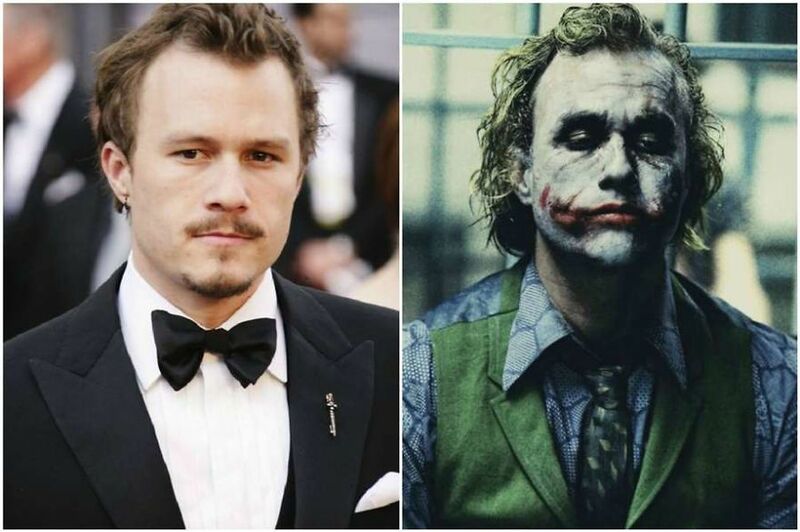 The 28 year old Heath Ledger passed away before movie hit the theaters in 2008 and, his make-up and costume inspired us all. 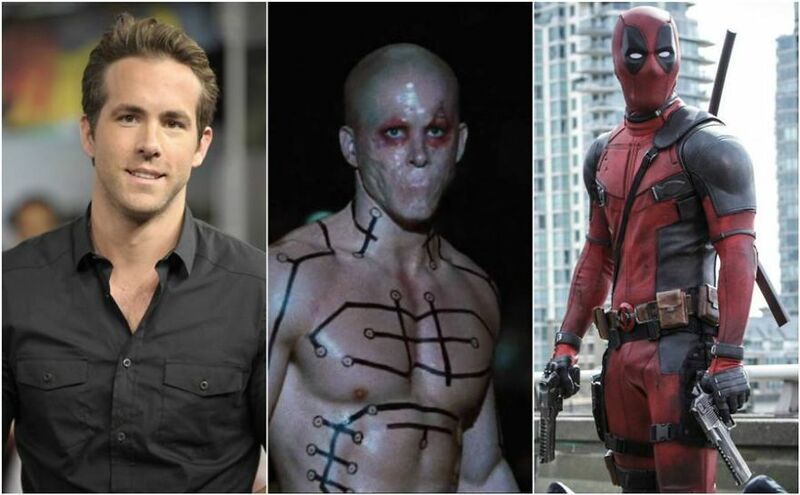 Wearing green suit is not meant for someone like Ryan Reynolds, so he filled for another role and this time, it’s the Merc of a Mouth Deadpool. Although, he did make a brief cameo as a villain Deadpool (without a mouth) in Wolverine Origins (2009) which was somehow a terrible idea in his acting career. Now, Ryan Reynolds finally found a place in superhero tights based on the same comic character. With a mask and red suit, he looks completely different including the way he played the elements of the storyline in the costume. Another excellent villain portrayal was done Tom Hardy in Dark Knight Rises as Bane. Bane is a archenemy of Batman that is known for his physical strength and mask. Unlike the movie, it was not anything like the heavy-duty comic version but instead adopted a different style. 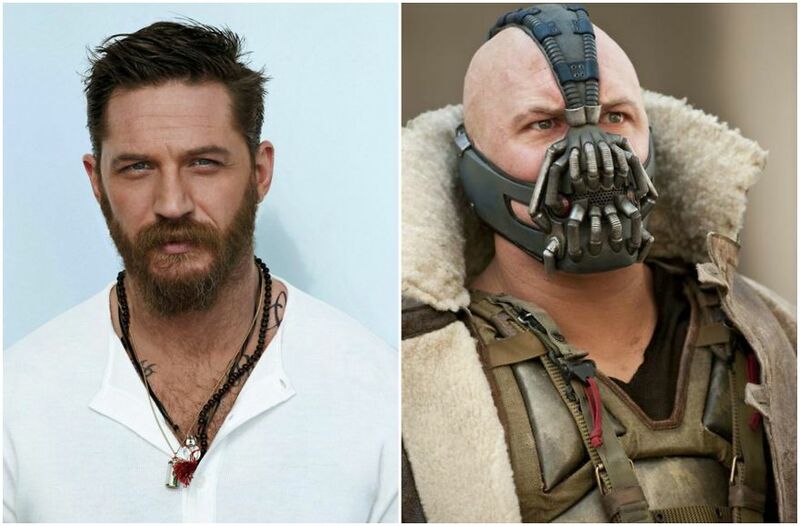 The horrifying voice and the long trench coat was great for Tom Hardy that inspired fans to dress up as Bane in Halloween. After busting heads, power slamming and spine-bustering his opponents in the ring, Bautista is now finally recognized as an actor. 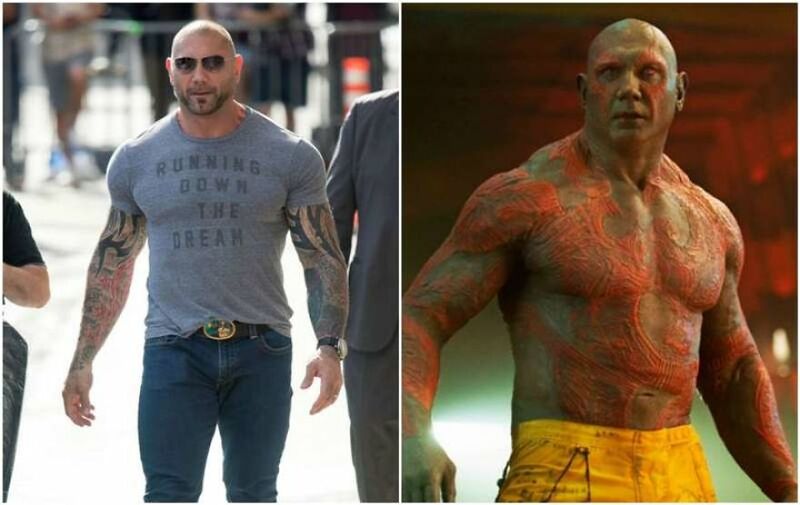 The six-time world champion debuted as Drax the Destroyer in the famous Guardian of the Galaxy and now ready to reprise the role again in Avengers: Infinity War. The character looks different as compared to his role as Drax. Is there any character we missed? You can add your comment in the section below. Anyone can write on Realhitz.com start writing!